A step-by-step video course that teaches you proven strategies to grow your business using AdWords. With this comprehensive video course, you will learn everything you need to know to launch and run successful AdWords campaigns. After completing the 40 lectures, you will also be able to create ads that consistently produce more sales and leads. Additionally, you will receive the Advanced AdWords (Display and Remarketing) bonus sections. All of this will be available to you for life, and you will be able to come back to review the course content at any time. Google AdWords for Beginners is for marketers who want to learn how to target customers that are searching for products or services that you sell . This course will add another tool to your marketing tool belt to produce more sales for you and your business . Also, AdWords is an in-demand skill. Companies are always looking for employees that can effectively manage PPC campaigns. Check out this search on Indeed.com to see for yourself. "Very clear. Lots of material. Great instructor. I have my own online business and have always wanted to try AdWords but was never sure how to "jump" into it. This course was exactly what I needed. I will watch it several times and would suggest it for anyone looking to start AdWords." "Whilst Google AdWords itself is multi-layered & complex, Corey made this course easy to understand even for a novice such as myself who has nothing to do with this type of work previously. Thanks so much. Great structure and keeping it simple to follow for the beginner! 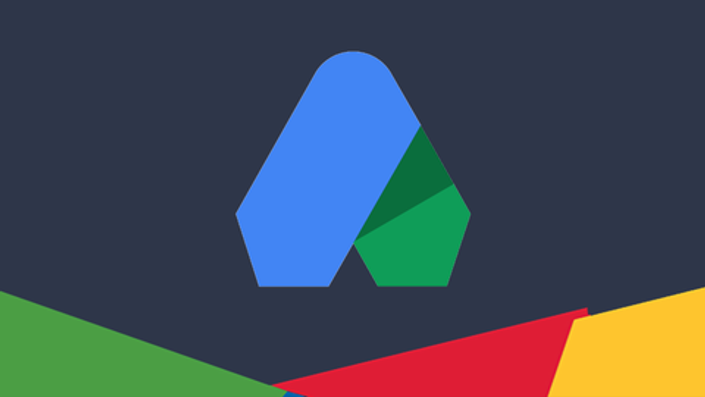 :)"
"This class is fantastic for people just getting started with Adwords advertising, tons of great optimization tips that I hope to use soon after starting my campaigns. I highly recommend this course to anyone who wants to start or improve their adwords marketing. Thanks so much Corey!" "Just WOW. Only one Word - AMAZING"
"Very good course! I appreciated a lot this course, I think this course isn't only for beginners, I am not a newbie and I found a lot of advanced information, too. Very good job Corey!!!" If your company would like to buy access for multiple people on your team, email me directly for volume pricing. Corey Rabazinski is a digital marketer with over 7 years of experience helping companies launch and optimize AdWords campaigns of all sizes. He previous worked as the Director of Marketing and Growth at Code School, which was Pluralsight for over $40M. While there, he helped the company grow to over 4 million users and reach $12M in ARR. He is accredited by both Google and Bing and is the author of Google AdWords for Beginners. Prior to working at Code School he managed multi-million dollar digital campaigns for companies such as Holiday Inn, Tony Roma's, Diamond Resorts and Universal Studios while working at an Ad Age Top 100 advertising agency. Corey is now focused on teaching digital marketing through his courses and one-on-one consulting. Learning anything new is tough. It can be especially difficult when you aren't using the right resources to learn. AdWords is no different. Prior to launching this course I spoke with people from both big and small companies that have struggled with AdWords. Most of the issues were easily fixed and caused by how they chose to learn AdWords, not lack of marketing savvy. They read an article or two, launched a campaign, and it failed. They then passed off AdWords a ' not for us' or 'too complicated'. With Google AdWords for Beginners you can reduce the learning curve, pass your certification exam, and increase the profitability of your campaigns. In the screencasts I will show you step-by-step how to create each element of a successful AdWords campaign from scratch. Much of the learning curve that AdWords carries comes from knowing how to setup each campaign and knowing what tools you have at your disposal. The screencasts in this course walk through as many scenarios as possible, so when you complete this course you have the confidence you need to launch your first campaign – or drastically improve on an existing on. Think about it this way, would you rather spend a few hours learning how to properly use AdWords or miss out on thousands of new customers already looking for your product? Or, even worse, would you rather waste thousands of dollars on a poorly setup AdWords campaign? I can guarantee that this course will pay for itself within the first two months. If it doesn't, I'll give you a 100% refund. No questions asked. I am excited to teach you how to start growing your business with AdWords!